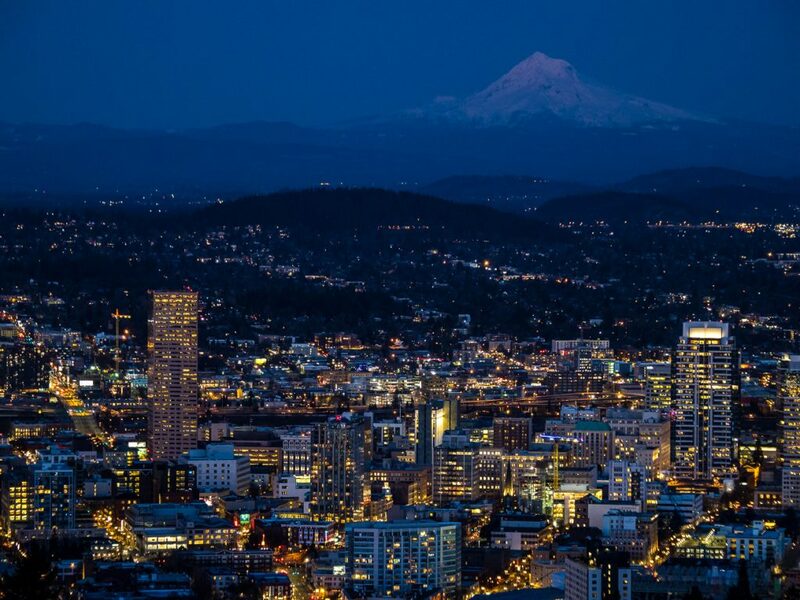 Pittock Mansion and its park sits on a hilltop west of the downtown of Rose City. The park providing for spectacular views of the city below and Mount Hood behind. 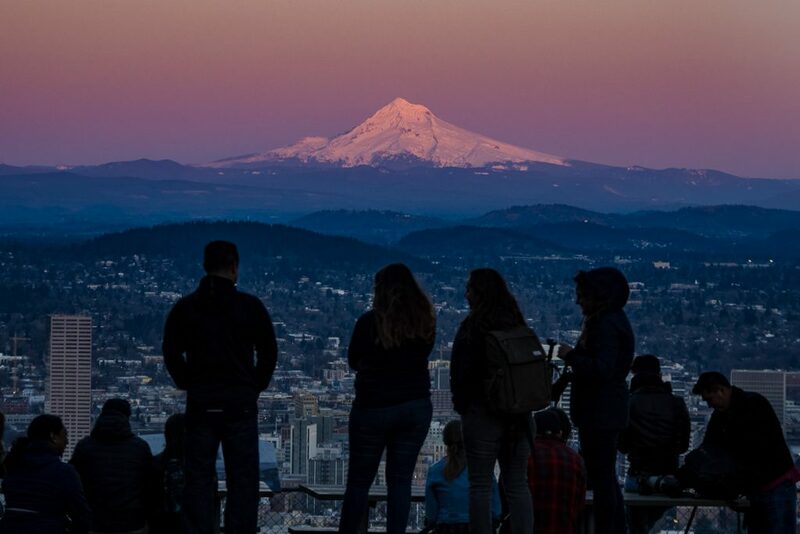 This early in the year, the snow capped 11.250 foot summit of the majestic stratovolcano really glows in the rays of the setting sun. 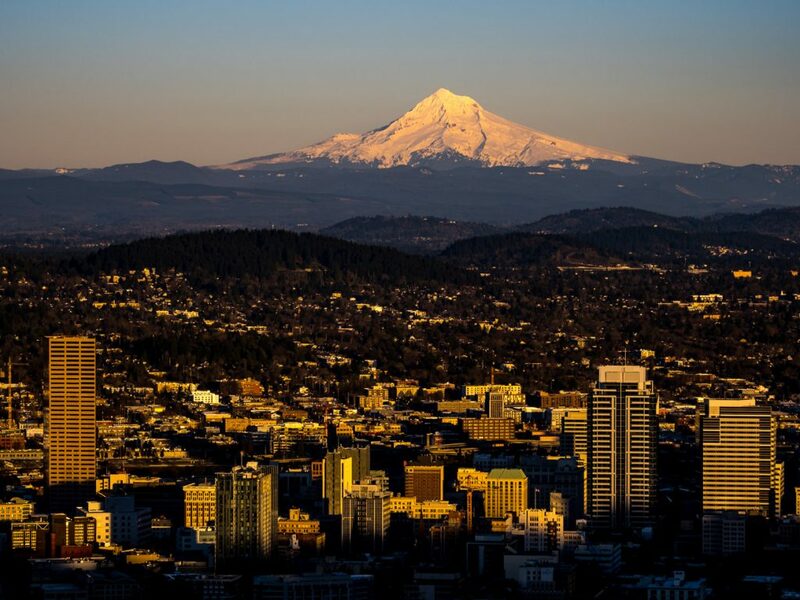 And Portland is having some crystal clear days with spring like temperatures while the sun is up. That said, in the evening the wind was really blowing up the hill, giving me a hard time taking this handheld photos with my OM-D E-M1X and the mZuiko 12-100mm. But because of the great image stabilization I was still getting sharp images with a one second shutter speed, despite the heavy wind. I spend a good part of one hour up there, taking in the changing light of this stunning panorama with a pink mountain in the background. On Wednesday the super moon will rise just to the left of this scenery. If I make it out of the office on time I might just go back up there. The rising super moon could make for an awesome photo opportunity. I love that pinky sky and mountain! It looks like a beautiful time of evening. Absolutely stunning these pictures. We do live in a wonderful state. 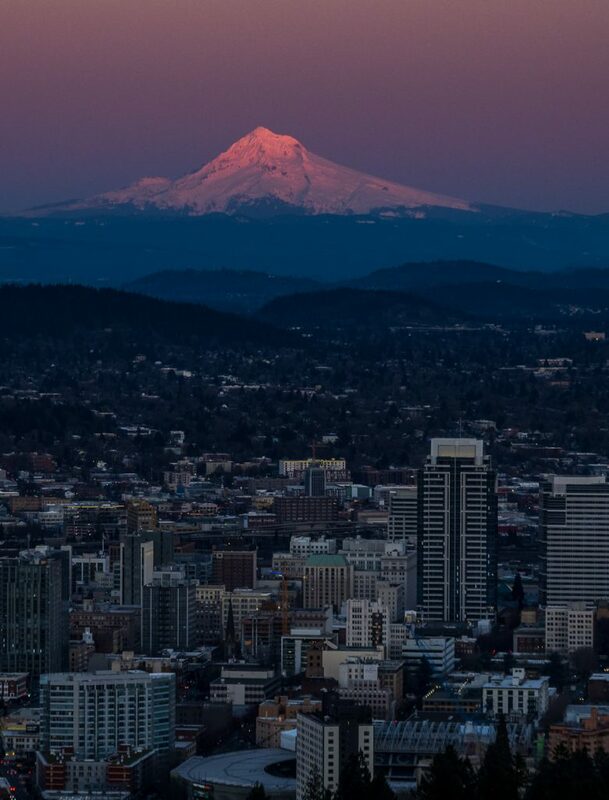 Your pictures help me to reflect and appreciate Portland and Oregon even more. Thanks for sharing on your blog! I really like seeing the change from light to dark, and from golden to pink to violet and blue. Your commitment to getting the shot, come high wind and extreme fatigue, is inspiring. Fantastic shots, Marcus! I especially like that beautiful pink-blue frame with the silhouettes in the foreground — the figures add even more interest to an already beautiful scene. Wow! Such stunning pictures of Mt. Hood! Excellent photography as usual. Bravo! well done, in spite of the bothersome wind. Good luck on getting out early enough on Wednesday! 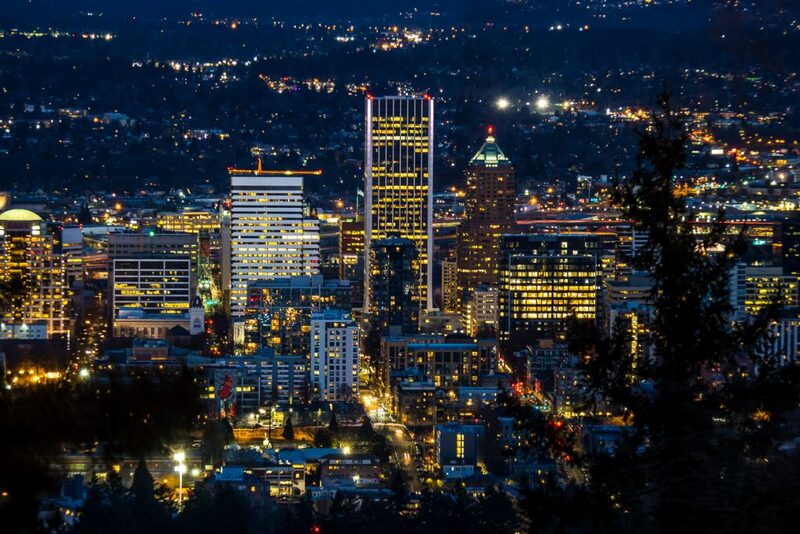 Thanks, Howard, the Rose City always treats me well. It was a one of those rare clear days! Looks like it was the only one on this trip, hasn’t been the same yesterday and today. What a stunning viewpoint! Hope you get your supermoon.